The AccurioPrint C2060L digital printing press delivers digital color printing with power, performance and simplicity for any production print application -- up to 61 ppm print/copy output, real-time image density and digital color imaging to rival offset printers at a fraction of the cost. 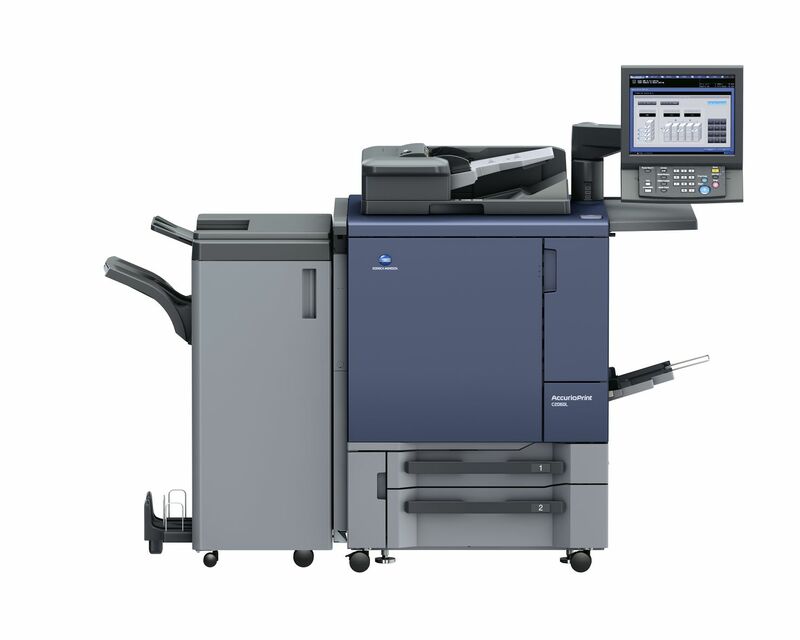 Konica Minolta's bizhub PRESS 1052 digital printing press is a fast, powerful digital PRESS to handle high-volume production demands, the bizhub PRESS 1052 provides 105 ppm output in high-resolution B&W -- with 2,000,000-page monthly duty cycle and real-time image density and toner ratio sensors to maintain image stability over long press runs. 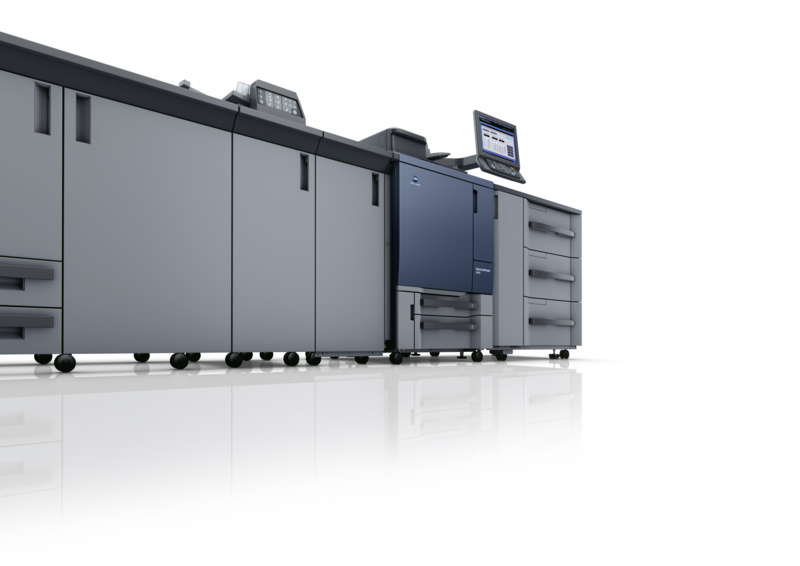 For powerful production output in high-quality B&W, the bizhub PRESS 1250 Digital Printing Press runs like a pro -- with print/copy speeds up to 125 ppm, high-volume monthly duty cycle of three million impressions, and real-time image density and toner ratio sensors to maintain image stability over long press runs.